Richard Commey vs. Yardley Cruz this Sat. IBF Lightweight Title Mandatory Challenger Richard Commey (26-2, 23 KOs), of Accra, Ghana, now fighting out of Brooklyn, NY, faces battle-tested Mexican veteran Yardley Cruz (24-10, 14 KOs), of Los Mochis, Mexico, in an eight-round clash on Saturday, August 4, at NYCB LIVE, home of Nassau Veterans Memorial Coliseum. Commey vs. Cruz is one of the featured undercard bouts of the stacked Premier Boxing Champions on Fox and Fox Deportes event. Determined to keep his mandatory status, Commey understands that this bout versus Cruz is a must-win for him with a world title shot looming. Doors to the venue open at 3:00pm, with the undercard commencing shortly thereafter. On March 10, Commey looked sensational, stopping the previously unbeaten 22-0 Alejandro Luna in six rounds to become the mandatory challenger for the IBF lightweight title, then held by Robert Easter. Last Saturday, Mikey Garcia defeated Easter via unanimous decision to capture the IBF belt in a unification bout. “I’m excited to fight this Saturday night on such a big card and can’t wait to fight for the IBF Lightweight World Title against Mikey Garcia,” said Commey. “This time I’ll be victorious and fulfill my lifelong dream of becoming a world champion. Commey previously challenged Easter for the same title in September 2016, losing a very close 12-round split decision in Reading, PA, in a highly entertaining battle. 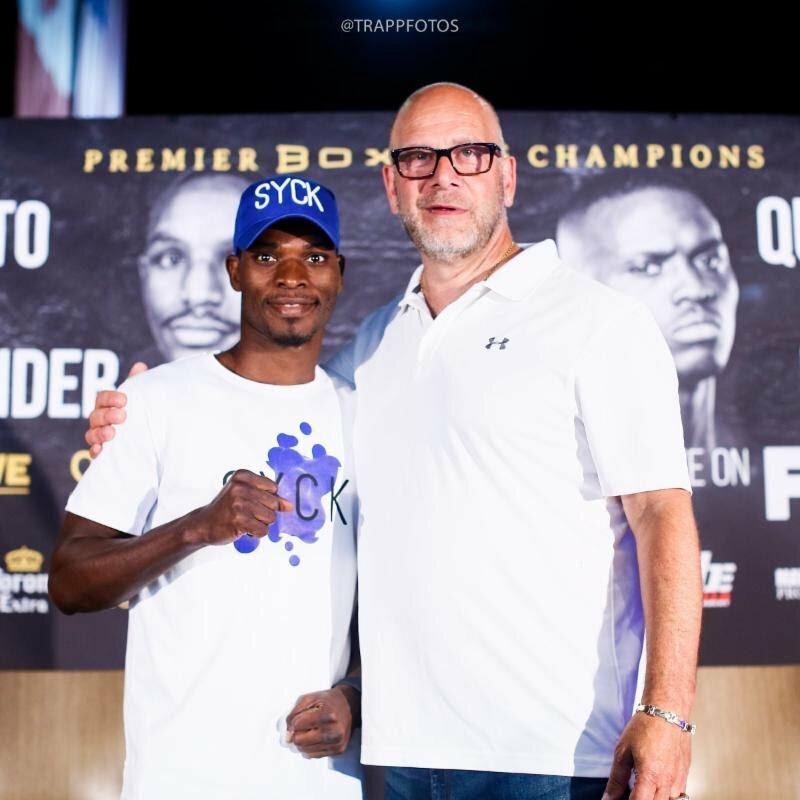 “Richard had an outstanding victory against Alejandro Luna in March stopping him in the sixth round and is now the well-deserved #1 mandatory challenger for the IBF Lightweight World Title,” said Commey’s promoter Lou DiBella, President of DiBella Entertainment. “Mikey Garcia won the title on Saturday night and now Richard is in line to face him for the championship. Tickets for the live event, which is promoted by TGB Promotions, DiBella Entertainment and Mayweather Promotions, are on sale now. Tickets can be purchased online by visiting www.ticketmaster.com, www.nycblive.com, or by calling 1-800-745-3000. Tickets are also available at the Ticketmaster Box Office at NYCB LIVE. Group discounts are available by calling 516-231-4848. You are here: Home / Press Room / Richard Commey vs. Yardley Cruz this Sat.